Announcement Welcome to The Mystery of Fields! Here you can find a lot of things you can use for celebrating an important day in your life and in daily routine. 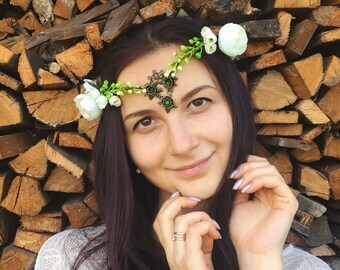 Knitted hats, turbans, mitts, any kinds of hair accessories (floral hair combs, elven tiaras, flower wreaths, wedding barrettes, headbands), boutonnieres, dreamcatchers are all at your service and can be of any use you want. Welcome to The Mystery of Fields! 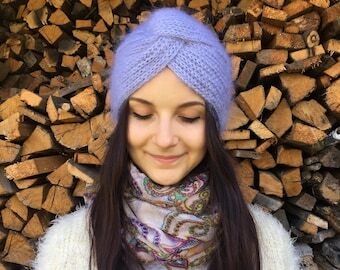 This turban is warm, beautiful and well crafted. I have already received compliments. Big choice of the color of star pillow. Every accessories will be sent in Ukrainian style box! In The Mystery of fields you can buy any kinds of hair accessories (hair combs, elven tiaras, flower wreaths, barrettes), knitted hats, bags. Hi. 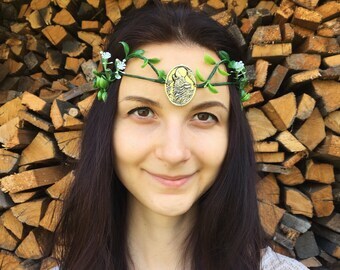 My name is Maryna and I am a creator of handmade things in the Mystery of Fields. I used to live in Donetsk, but now I live in Kharkov. 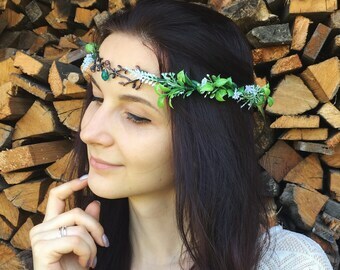 That's where I met my husband who helps and supports my ideas in creating flower combs, elven tiaras, wedding wreaths, embroidering bags and knitting accessories. Apart from that I have a dream to visit all the 24 regions of Ukraine with my husband (we have already visited 13 of them). 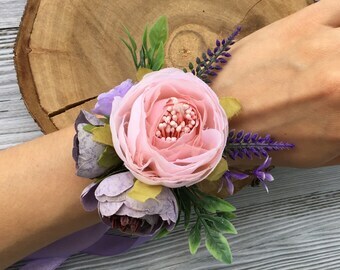 I have а dream to create a lot of beautiful accessories in my workshop. I hope you'll like my shop! So, if you have any ideas you would like me to implement (for example, matching outfits or anything else), feel free to contact me :) If you have any questions, please write to me and I will be always ready and happy to answer them all. If you are not satisfied with your purchase, than all items must be return in original conditions without any physical changes with all of its components. We do not refund payment for delivery, only the cost of the product without 9% and Paypal fees (for USA - 1.9% + $ 0.30, other countries 2.9% + $ 0.30).. If the cost of the product exceeds the limit set by customs house of your country, you should pay a duty there . The cost of a product doesn`t consist an amount of the duty. The buyer is responsible for any customs duties or fees that may apply. Please, take this into consideration while ordering. ATTANTION!!! Free shipping only by ORDINARY international mail! For fast delivery you need to pay extra depending on the weight! If you hurry, there is an option to order quick delivery. And you will receive the parcel within 5-9 days.